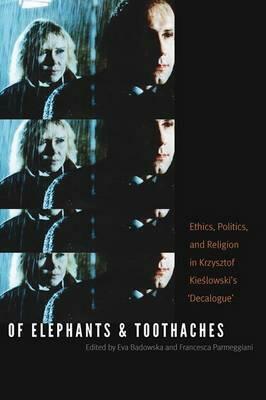 This collection is the first to offer a genuinely interdisciplinary approach to Krzysztof Kieslowski's Decalogue, a ten-film cycle of modern tales that touch on the ethical dilemmas of the Ten Commandments. The cycle's deft handling of moral ambiguity and inventive technique established Kieslowski as a major international director. Kieslowski once said, "Both the deep believer and the habitual skeptic experience toothaches in exactly the same way." Of Elephants and Toothaches takes seriously the range of thought, from theological to skeptical, condensed in the cycle's quite human tales. Bringing together scholars of film, philosophy, literature, and several religions, the volume ranges from individual responsibility, to religion in modernity, to familial bonds, to human desire and material greed. It explores Kieslowski's cycle as it relentlessly solicits an ethical response that stimulates both inner disquiet and interpersonal dialogue.